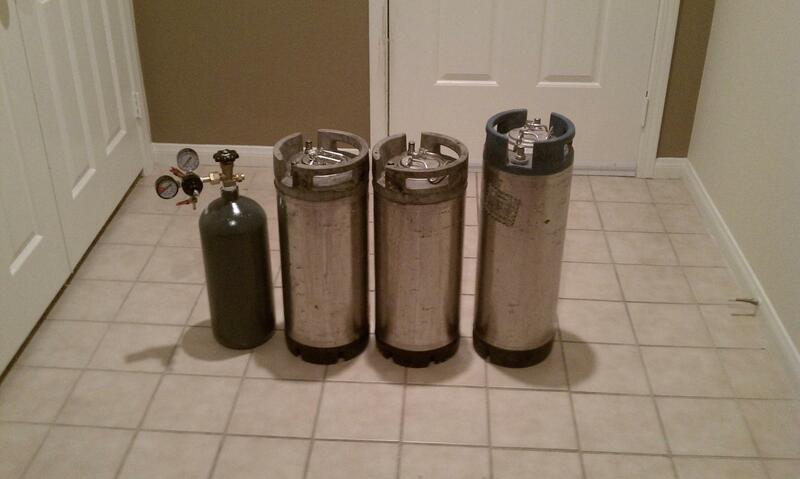 After bottling a couple times it was time to start kegging. Bottling just eats up a lot of time and I just can't stand waiting to try out the latest brew. I got a deep freezer and some wood and started building without any real plan- just a general idea of what I wanted to do. It actually turned out pretty well. So when I got the freezer I plugged it in and let it run over night while I thought about what I was going to do. The next day, it was room temp inside and ran constantly. The compressor was hot to the touch. I researched the issue to a dead end and ended up calling a service guy, free of charge, to come out and look at it. 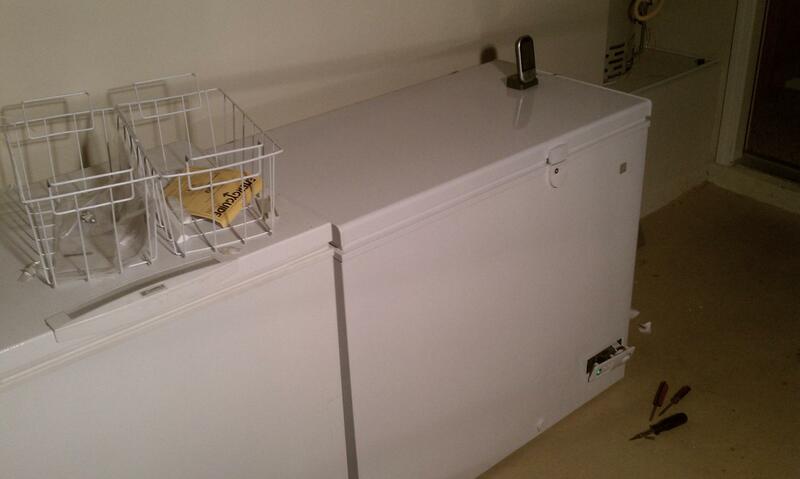 Turns out, the freezer was never charged at the factory which seems to be a common occurrence. He charged it and it turned to ice within a few hours. My next mission was to figure out how to keep the right temperature, somewhere in the 38F range. It turns out that there is a factory adjustable screw inside the existing freezer thermostat that you can adjust that gives you a wider range than the normal user knob on the outside. I took it apart and found that I could increase the temperature some, but not even above freezing on the highest setting between the screw and the knob. I ended up just using an external Ranco temperature controller and calling it a day. I took off the freezer lid and built a collar around the top of the freezer. I put some rubber insulation between the collar and the top of the freezer, but it's heavy enough that it just sits on top of the freezer. 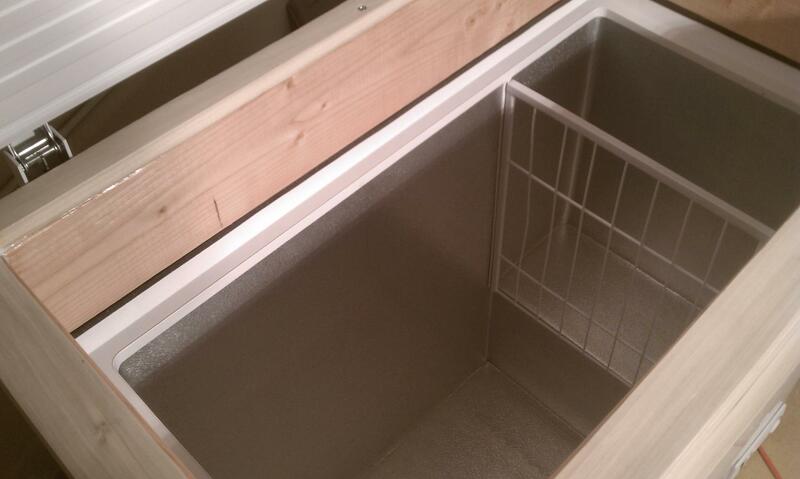 The outer layer of wood is lower than the inner layer so it can't slide off the top of the freezer. I just mounted the top of the freezer on the collar. Basically, the freezer at this point is completely unmodified. If I ever wanted to just turn it into a normal freezer or get rid of it, it's good to go. 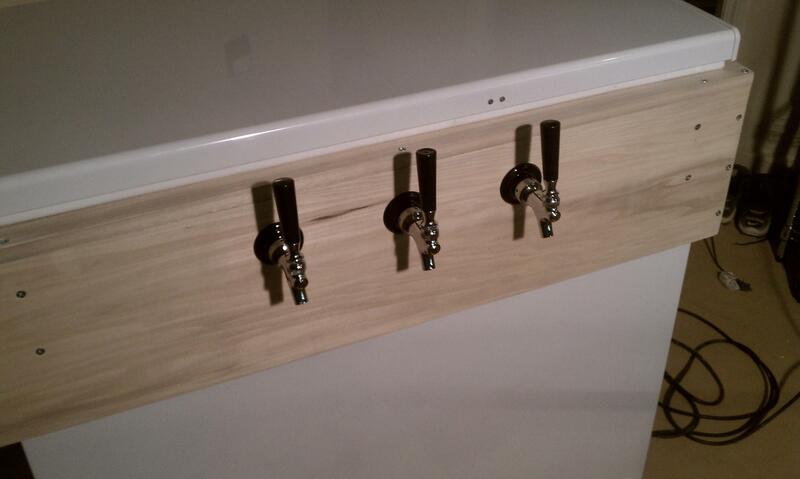 The whole point of the collar, besides giving more room to hold kegs, is so I can drill in the side. Who knows where the coolant lines run and the last thing I wanted to do was run into one of them drilling through the freezer. I added 3 taps to the front and mounted an air splitter inside. 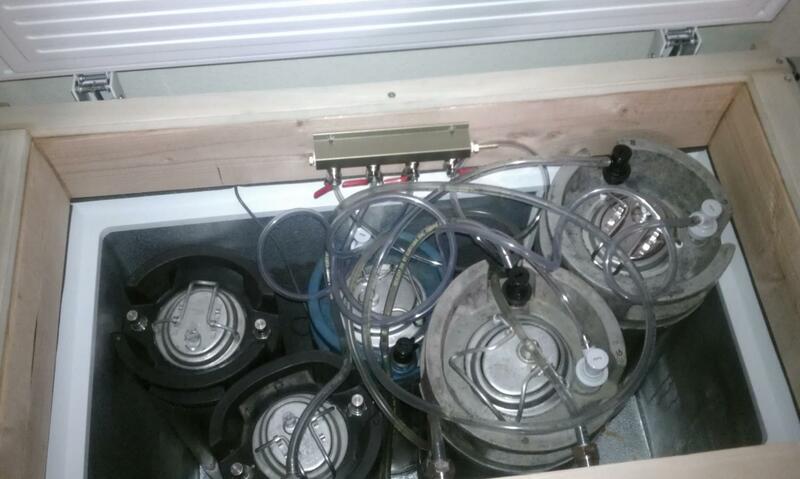 The freezer has enough room to hold 5 kegs with a pretty tight fit. 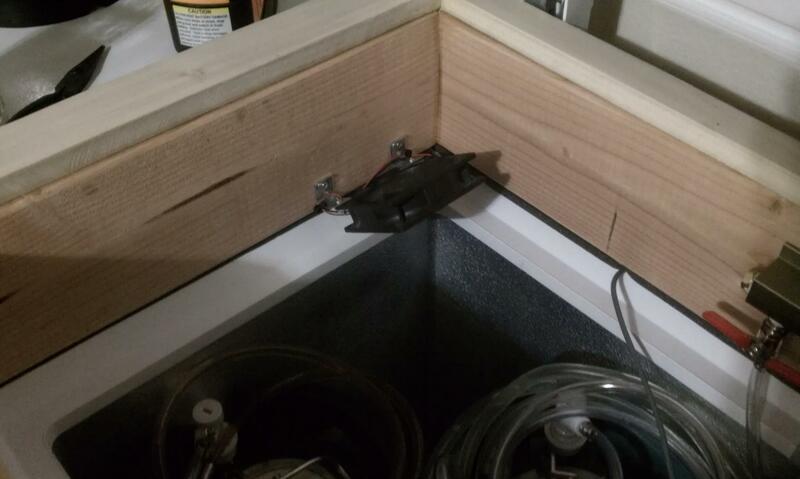 I got the RANCO ETC-111000 Digital Cold Temperature Control and I quickly found out if I position the sensor at the top of the kegerator, it will freeze the beer in the bottom. If I put it in the bottom, it stays pretty warm in the top. After trying several things like putting the sensor in a coke bottle of random liquids I needed a better solution. That solution was to put a PC fan that always runs inside the kegerator which keeps the air circulated and the temperature even.